Play’n Go online slots love pirate themes, which we can clearly see in Jolly Roger casino slot game. This is not a graphically advanced game, it looks very simple. Although, it looks very clear as well, the game has an interesting charm in it. But if you like to play casino slots online with fancy graphics and jaw-dropping animations, this may not be the right game for you. 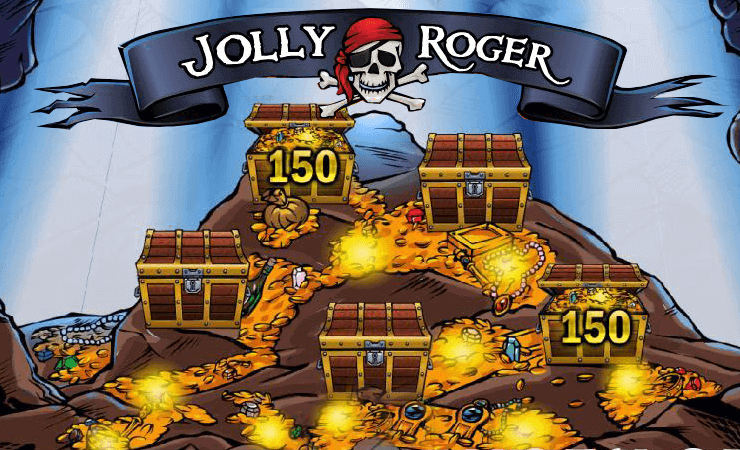 Jolly Roger online slot game by Play’n Go has 5 reels, 3 slots and 15 pay lines. Wild Symbol: Shown with a picture of a pirate flag. Substitutes all other symbols in the game, except the special ones. Treasure Chest Bonus Round: To activate this round, you need to land three different treasure map symbols on reels 1, 2 and 3. When this happens, you will be taken to a second screen where you can see the completed map. There are crosses on this map, and each one awards a different coin prize. Chest Bonus Round: Same as the Treasure Chest round. If you receive three treasure chest symbols anywhere on reels, you will be asked to choose between three chests. Each pick will reveal a different prize. There is also a scatter symbol in the game (which is shown with a parrot picture) but it only awards extra coins, not free spins. Unfortunately, there are no free games (or multipliers) available in the game. As we mentioned above; playing Jolly Roger doesn’t cost much, each spin can cost between 0.25 and 1.25 coins, depending on your choice. Winnings happen more than often, but the payouts are not that satisfying. If you are looking for a low graphical slot to play, Jolly Roger may fill that role but don’t expect too much. 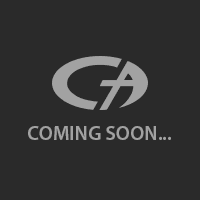 As always, try the demo (free slots no download) version of the game first.